How do we deal with present world issues in the light of what we want for our future? How do we extend that equality beyond gender, race and religion? With Raft of Medusa - made from recycled wood and old sail cloth referenced the work of Theodore Gericault the early 19th century French painter, who’s work depicted the death by drowning of a shipwrecked crew, in referencing this Humpston aimed to evoke the basic human plight of refugees crossing seas. 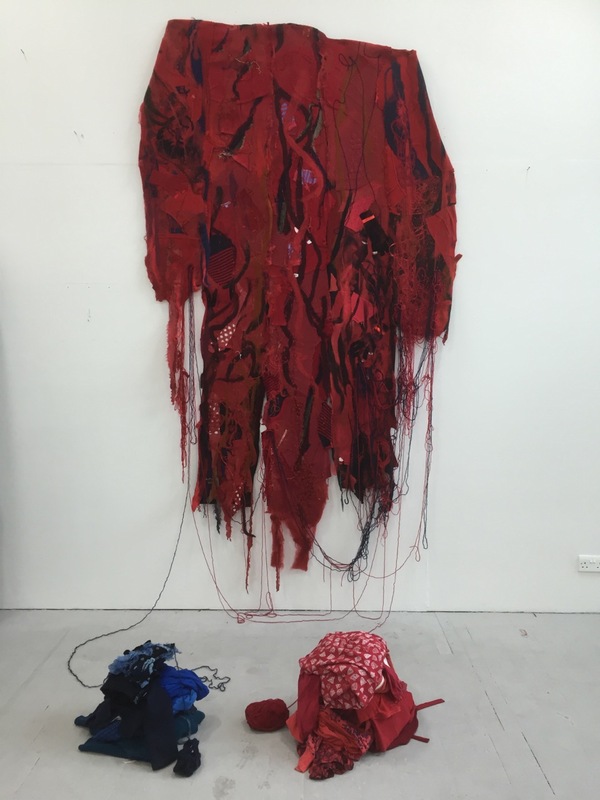 With Exodus - a huge red cloak hung on the wall with two piles of discarded clothes neatly folded in front of the wall hanging in red and blue stacks. On closer look the cloak too is made up of recycled and felted clothes of trousers, socks, blouses, children jumpers, dresses. In Moving Through, stretched golden yarn is hung in multiple strands creating a corridor that appears to be fragile yet solid, depending on your viewpoint. In this work she reminds us of the experience of refugees as they move through immigration control in the final stage of their journeys into their chosen country of choice: The corridor of course is a ‘man-made idea’ and does not in fact exist, yet the experience of it for a refugee is fraught with promise and anticipation and in many cases disappointment. An earlier installation, Cradelbridge was dedicated to the sudden & unexpected death of a close friend’s daughter. Deeply affecting her, Humpston ties together the tragic words of the mother, heard on audio, accompanied by four 4ftx4ft squares on the gallery floor: a painting, a photograph, a bed of soil with shards of broken china lastly a video projected onto a crumpled felt shroud. This work is evidence of a life and death and the nature of the landscape the child was born into, where the viewer can witness unfolding descriptions of life and death. 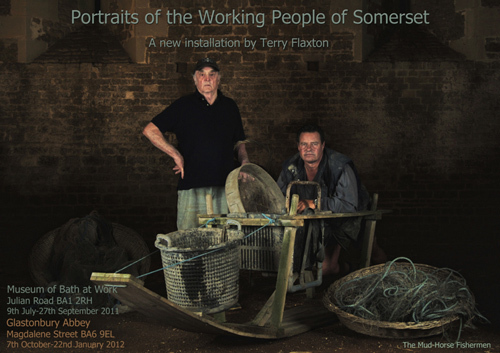 In a single screen 65 minute video made with artist Terry Flaxton of Visualfields, created over 5 years, To Stand And Stare: A Somerset Landscape is an homage to the landscape of where the first Christian Church was erected circa 30AD by converted Roman Legionaries which then became the centre of the spread of Christianity through Europe from the East. In the series Pods Humpston made several small-scale sculptures from copper wire & felt and one much larger piece made from woven insulation blankets and wool insulation material. Copper has the highest electrical conductivity rating and wool has the highest insulation rating which impact in matters of survival. The red/orange pastel and energetic drawings accompany the sculptures, which are womb-like and egg-shaped to evokeideas of connectivity and incubation. In her most recent installation Golden Bough Charlotte wrapped trees in a Somerset orchard using golden survival blankets, the effect of which was to evoke ideas around insulation, sustainability and protection in the audience. This newly proposed work Transformation and Sacrifice (working title) is the beginning of a new phase of works that Visualfields hope to bring to Grace Cathedral (and potentially Bristol Cathedral) and this first of which carries ideas of womanhood, sustainability and celebration of diversity.